Just over the mountain from Verbier is the smaller resort of Siviez. Linked to Verbier via cable car, this is a great option for those wanting to ski the famous 4 Valleys but on a lower budget. Nendaz can be easily reached by the frequent bus service. Siviez is a smaller resort with limited options for the evening; however there are a handful of restaurants to choose from. Siviez gives access to the 412km of the 4 Valleys. Separated from Verbier by the famous Tortin itinerary, those less keen on tacking the huge moguls can take the cable car straight over. From there the blue run into Siviez is long and wide, perfect for Beginners wanting to build their confidence. 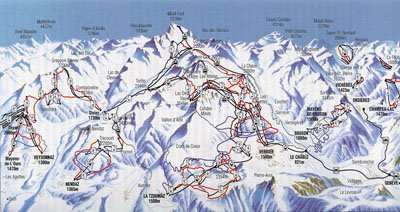 There is a good mix of runs for all abilities in the area, and Experts are well-placed to really explore the whole area. 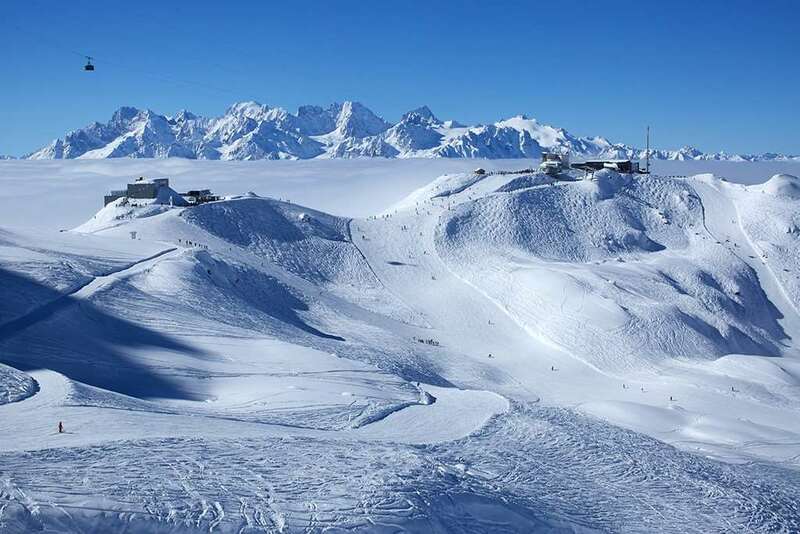 All of the valley has snow making facilities which contributes to the natural snowfall of the swiss alps for more guaranteed skiing throughout the winter season. There are very little restaurants in the Siviez village so for apres-ski entertainment we suggest heading to the surrounding resorts of either Verbier or Nendaz which has a much larger option of bars, fine dining and even nightclubs for those late night partiers. There are plenty of ski huts located on the mountains of Verbier and Nendaz where skiers can enjoy a nice beverage or snack whilst admiring the panoramic views of the swiss mountains. From there skiers tend to ski down to the neighbouring resort for afternoon lunch or hit one of the apres-ski bars with live music and entertainment. There is a quick bus transfer from Siviez to Nandez where guests can enjoy late night dining. For non-skiers Verbier and Nendaz and other close by resorts offer other winter activities to enjoy including snowshoeing, cross-country trails, winter hiking and paragliding. Bern (BRN) is the closest international airport to Siviez ski area 177 km distance away which is accessible via car or shared shuttle services usually taken around 2 and a half hours to arrive into resort.